11 August 2014 – Buoyed by another great result on the LPGA Tour on Sunday, former Ladies European Tour number one Lee-Anne Pace heads to New York this week for the season’s fourth Women’s Major Championship. South Africa’s top golf export vaulted into the top 10 at the Meier LPGA Classic in Michigan with a four under 67 on Saturday. Pace offset three bogeys with two birdies in a final round 72 to tie for 12th on five-under-par 279. “I played really well; very consistent,” said Southern Cape’s Pace ahead of this week’s Wegmans LPGA Championship. Although she made less than half of her pay day for a joint fourth finish at the Marathon Classic last month, the $22,993 cheque took Pace’s earnings for the season over the $140,000 mark. The Pearl Valley golfer climbed to 55th in the Race to CME Globe and moved to 51st on the LPGA Official Money list in her 10 starts. After missing the cut at the first Major of the season, the Kraft Nabisco Championship, the regular starts in the United States has certainly benefited Pace’s game. The reigning Investec Cup for Ladies champion recorded a career-best 43rd place finish in the US Women’s Open Championship and a share of 29th in the Ricoh Women’s British Open. Fellow South African professionals Ashleigh Simon and Paula Reto will also join the Major action at the Monroe Golf Club in Pittsford. Simon missed the cut in Michigan, but Reto carded rounds of 72, 71, 71 and 73 to tie for 58th on three over 287. Written and released by Lali Stander on behalf of the WPGA and Sunshine Ladies Tour. 78th-minute try gave the Junior Springboks a thrilling 32-25 victory over the Baby Blacks and a place in the Junior World Championship final. BRENTON CHELIN reports. After a stuttering first half performance, South Africa burst into life in the second stanza to set up a meeting with defending champions England in Friday’s final. New Zealand had led 15-10 at the break as the Junior Boks struggled to get a foothold in the match, kicking away what scant possession they did have. They weren’t helped by a leaky defence that missed 16 tackles to New Zealand’s one. Captain Handré Pollard kept his side in touching distance with an intercept try and a penalty. New Zealand extended their lead with another penalty at the start of the second half before South Africa closed the gap to within one point through a Sergael Petersen try. The try seemed to spurt the Junior Boks into life, and soon they had claimed the lead. It didn’t last long, though, as New Zealand hit back with a converted try of their own. The Junior Boks would level things up after André Esterhuizen, who had been harshly yellow-carded earlier in the match, went over in the corner. Both teams threw everything they had into the final 10 minutes, but it was the Junior Boks who would claim the match-winning try. They set up the rolling maul a couple metres out from the New Zealand line before rumbling over. Corniel Els was the man who came up with the ball, but it was a true team effort, and one that epitomised the character of this young side. New Zealand U20 – Tries: Hame Faiva, Tevita Li, Vince Tavae-Aso. Conversions: Damian McKenzie (2). Penalties: McKenzie (2). South Africa U20 – Tries: Handré Pollard, Sergael Petersen, André Esterhuizen, Corniel Els. Conversions: Pollard (3). Penalty: Pollard (2). Subs:16 Joseph Dweba, 17 Pierre Schoeman, 18 Wilco Louw, 19 Abongile Nonkontwana, 20 Victor Sekekete, 21 Zee Mkhabela, 22 Jean-Luc du Plessis, 23 Dan Kriel. Fireballs and mosquitoes will be exciting additions to the 2014 Mossel Bay Sports Festival – but it is certainly not a cause for concern! They are both types of boats that will participate in the regatta to be held at the Mossel Bay Yacht and Boat Club as part of the Sports Festival in October this year. The Club will host the national championships for both these types of boats as well as the Eastern Cape Regional Championships from 4 October 2014 to 6 October 2014. The competitions are expected to attract in the order of 140 boats. The Mosquito is a high-performance 4,9 metre racing catamaran and some of its exciting features are the dagger boards that help with the upwind leg and a spinnaker for the downwind leg. The defending national champions in this class are Bradley and Saskia Stemmett from Cape Town and it is likely that they will defend their title in Mossel Bay. The local team of Pieter de Villiers and Daleen Naude finished fifth last year in the national championships and it is hoped that they will do well in this year’s championship. The Fireballs are a long standing racing class in South Africa. This is a dingy, which has a spinnaker and is a very tricky boat to sail. The Mossel Bay Yacht and Boat Club will be hosting the Fireball World Championship in 2016. 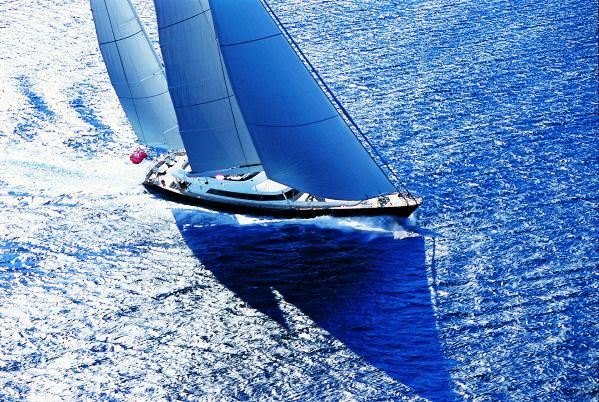 The sailing championships have become a major feature of the Mossel Bay Sports Festival, especially as they attract national championship events because of the good sailing conditions in Mossel Bay. The South African Finn class national championships were held in Mossel Bay as part of the 2013 Festival. 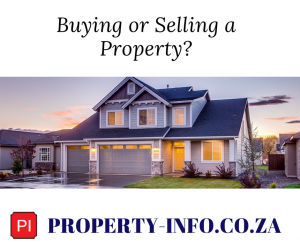 The Sports Festival is held annually and co-ordinated by the Mossel Bay Municipality as a project to promote a healthy lifestyle and market the town. A team athletics event for schools, the Rawson’s Top 10 Athletics Meeting, will this year form part of the annual Mossel Bay Sports Festival for the first time. Organised by Point High School, the athletics event will take place on Saturday, 4 October 2014. The event will form part of the third Mossel Bay Sports Festival that will be held from Friday, 3 October 2014 to Tuesday, 7 October 2014. Athletes can only enter as members of teams. Each team will consist of ten members. They can compete in as many as possible events in their respective age groups although a maximum of two members per team will be allowed to enter a single event. Athletes can compete in the under 11, under 13, under 15 and under 17 age groups. The 18 best performances of each school according to the Athletics South Africa points table will determine the winning school. Only the first six positions will score points in each event. An athlete will also be allowed a maximum of three efforts in field items. The entry fee is R20 per athlete and entry forms can be obtained from Point High School. Forms must be submitted before 31 May 2014. The contact person is Mr Jannie Nel, Head of Athletics at the school at telephone (044) 691-2247. 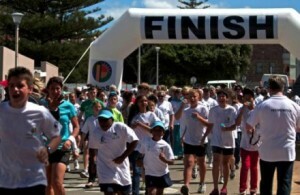 The Mossel Bay Sports Festival is co-ordinated by the Mossel Bay Municipality. Enquiries can be addressed to the Office of the Municipal Manager at telephone (044) 606-5003 or (044) 606-5193 or by e-mail to festivals@mosselbay.gov.za or feeste@mosselbay.gov.za. MOSSEL BAY, 21 May 2014: Women’s Golf South Africa’s 72-hole Team Championships gets under way at the Mossel Bay Golf Club on Monday, 25 May. Twenty four teams of three players each will tee off in two divisions: twelve teams in the A-division playing for the Swiss Team Trophy, and the B-division teams chasing the Challenge Trophy in the 72-hole Stroke Play event. With Sunday, May 25th reserved for practice rounds, free entry for all spectators on practice and competition days, and predictions for mild, stable weather throughout the event, the next week promises to be a feast for golf lovers. The tournament has received the support of the Municipality of Mossel Bay, which recognises the power of sport both as a force for unity amongst people, and as an important driver of tourism – and therefore as a driver of the economy of the town. Executive mayor Alderlady Marie Ferreira welcomed the participants. “A love for golf presupposes a love for the outdoors and the natural environment. I can therefore hardly think of a venue suited better than Mossel Bay for a major golf tournament such as Women’s Golf South Africa’s 2014 Team Championships,” she said. She thanked Women’s Golf South Africa for selecting Mossel Bay as the venue for the event, and the Southern Cape Women’s Golf Association for its work in ensuring the tournament’s success. Alderlady Ferreira will host a prize giving lunch for the players and officials on Wednesday. Rita Herholdt, president of Southern Cape Women’s Golf Association – the host province – said that everything is in place for a top-rate tournament. She said that the field includes Carrie Park (ranked first), and Magda Kruger (2) – both playing for Gauteng North A; Ji Sun Kang (3) and Cara Gorlei (6) playing for Western Province A; Michaela Fletcher (4) playing for Kwazulu Natal A: Monja Richards (5) playing for Mpumalanga; Kaleigh Telfer (7) and Lara Weinstein (10) playing for Gauteng A; and Mae Cornforth (8) playing for North West A. “Only number 9, Bianca Theron, won’t be with us,” said Ms. Herholdt. Mossel Bay Golf Club manager, Louw Strydom, said that the course is in “absolutely fabulous condition from tee to green. “Going into their main flowering season, the fynbos and the aloes – and the springbuck that roam freely on the course – all seem to be rejoicing in the good rainfall we’ve had in recent weeks. 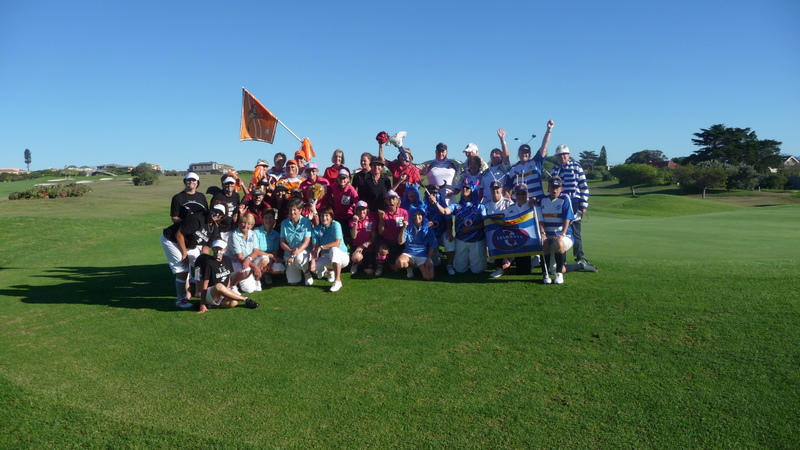 Mossel Bay Tourism’s Marcia Holm welcomed the players and officials – and called on visitors and locals to support the event. “The Mossel Bay Golf Course is known as the course where you can see the sea from every tee – but it’s also known as the friendly club, and they always make everyone feel at home. “Golf is one of the town’s most popular attractions, and I suspect that many of the spectators will want to play Mossel Bay themselves after the tournament is over – so it’s worth reminding you that the Club is offering 18 holes with shared golf cart hire at a hugely discounted rate during the month of May as part of Mossel Bay’s Mild Season,” she said. 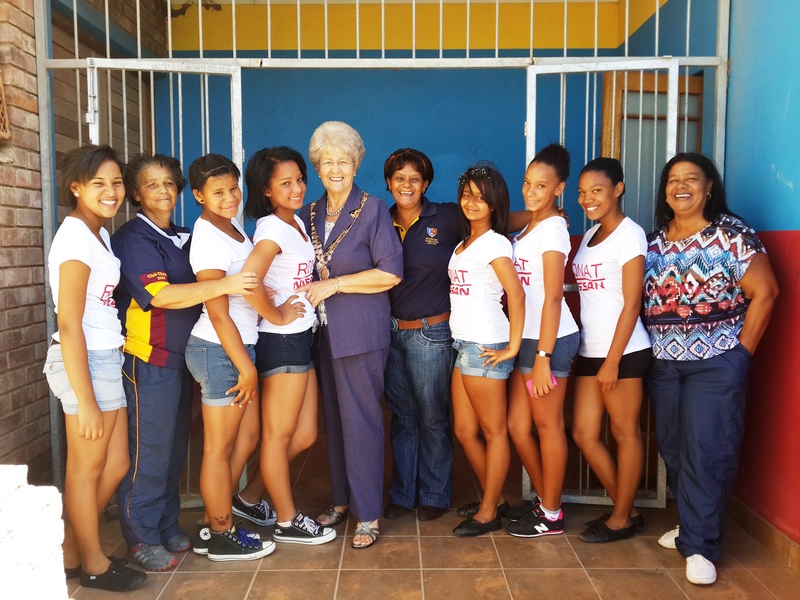 Ms. Herholdt said that the Southern Cape Women’s Golf Association appreciates the support that Mossel Bay and its Municipality give to sport in general in the town. Die Dames-afdeling van Mosselbaai Gholfklub het op Donderdag 17 April 2014 hulle jaarlikse inter-provinsiale gholf/rugby kompetisie gehou. Nege provinsiale spanne is verteenwoordig en hulle is aangenaam verras met die teenwoordigheid van Springbok-slot Andries Bekker. Hierdie vriendelike reus wat 208 cm (6voet 11 duim) in sy sokkies staan, het baie kleur aan die dames se dag verleen. Die geesdrif het geen perke geken nie en nadat elke provinsie sy oorlogskreet ge-uiter het, het die kompetisie al laggende afgeskop. Die Cheetahs was aan die einde van die dag die wenners, maar tien uit tien vir die dames vir die wonderlike gees en entoesiasme waarmee hulle die dag aangebied het. Laerskool Park se geborgde gholfdag op Woensdag 16 April 2014 is deur 176 spelers ondersteun. Toesie Dercksen en Petrie Cronjé verdien spesiale vermelding vir al die harde werk om van hierdie dag ‘n groot sukses te kon maak. Die beterbal kompetisie is deur Gustav Steinhobel en Roelof Engelbrecht op ‘n skitterende 50 punte gewen. Die tweede en derde plekke is onderskeidelik deur Louw Strydom en Linchen Wessels, asook Stefan van Vuuren en Tiaan Tredoux op 48 punte gewen. Vrydag 18 April 2014 se beterbal stableford uitslae was as volg. Wenners: Rouxwy en Wessel van Wyk (48 punte) met Matthew Lundie en Andrew Light (47 punte) in die tweede plek. Saterdag 19 April 2014 het Bertu en Marco Nel die A-afdeling van die beterbal syfer plus kompetisie op +9 gewen. Barrie Klindt en Dolf Groenewald (+11) was die wenners in die B-afdeling met Sabine Schultz en David Herman (+12) die wenners van die C-afdeling. Vrydagaande is nog steeds ‘n lekker bymekaarkom aand vir ons lede en besoekers. Gelukkige trekkings is aan die orde van die dag en daar is beslis nie ‘n beter manier om die naweek mee af te skop as die heerlike saamkuier met vriende nie. Mossel Bay should prepare itself for an influx of some of South Africa’s greatest young women golfers. This is the message from Rita Herholdt, president of the Southern Cape Women’s Golf Association (SCWGA). She said that Women’s Golf South Africa’s 72-hole Team Championships will take place at the Mossel Bay Golf Club from the 26th to the 28th of May this year. Sunday the 25th of May has been set aside for official practice rounds. The SCWGA is the host province for this year’s event – an amateur tournament that’s played in the format of 72-hole Stroke Play. The two best gross scores will count for each three-player provincial team. Amongst the possible participants will be Gauteng’s Magda Kruger (ranked number 1 on the WGA Senior’s list), Carrie Park (number 2), Lara Weinstein (3), and Kaleigh Telfer (8); the Western Province’s Ji Sun Kang (4) and Cara Gorlei (7); Mpumalanga’s Monja Richards (5); KwaZulu-Natal’s Michaela Fletcher (6); Boland’s Bianca Theron (9); and the North West Province’s Mae Cornforth (10) – will all take part. A-division sides will play for the Swiss Team Trophy, while the B-division will play for the Challenge Trophy. Ms. Herholdt said that the Southern Cape has won the Swiss Team Trophy on three previous occasions: when the tournament was played at Mossel Bay Golf Club in 2004, in Port Elizabeth in 2006, and in Polokwane in 2007. Mossel Bay Tourism’s Marcia Holm welcomed the announcement of the tournament. “It’s always good news when prestigious events like the Women’s Team Championships come to Mossel Bay because they provide wonderful opportunities for us to showcase the best that we have to offer – and as far as golf is concerned, we certainly do have world-class facilities. “The Mossel Bay Golf Club is known as ‘The friendly club,’ and also as the club where you can see the sea from every tee – so the atmosphere and the setting will be a perfect foil for the talent of the players. “This is going to be a rare occasion to see South Africa’s best young talent in action, and we’re hoping for an excellent turnout from spectators,” she said. Lee-Anne Pace will be the lone South African lining up for the 31st annual Kraft Nabisco Championship that tees off at the Dinah Shore Tournament Course at Mission Hills Country Club in Rancho Mirage, California tonight. The 33-year-old sharpened her skills with three top five finishes and a victory on the local Sunshine Ladies Tour and the regular competition already paid off elsewhere. She tied for fourth in the Ladies European Tour’s Lalla Meryem Cup in March and departed for the United States on the back of claiming the inaugural Investec Cup for Ladies. In addition to a string of tournament commitments in Australia, Morocco and South Africa over the last eight weeks, Pace also dealt with her sister’s wedding at the end of January, relocated to Pearl Valley Golf Estates and changed golf clubs. But Pace is rearing to go. “The start of the year has been very busy, but I think it has gone as well as can be expected,” she said. “I thoroughly enjoyed playing on the Sunshine Ladies Tour and winning the Investec Cup. “That was special, not only did I win in my home country, but I won for my sponsor, Investec, who has been a tremendous support to me. This year marks Pace’s her third appearance in the Kraft Nabisco. She arrived a little earlier this year than in previous years to fit in some work with her European coach, James Petts. Pace is keeping her expectations realistic. The $2-million championship has drawn a field of 110 players, including world number one Inbee Park and Christie Kerr, a two-time winner this season. Park has reeled in four top 10 finishes on the trot this season, include a joint sixth finish at the LPGA Tour’s Kia Classic last weekend. The South Korean is not only launching her title defence in the first of three majors this season, but will also try to emulate the legendary Annika Sorenstam, who won back-to-back titles in 2001 and 2001. Meanwhile Kerr comes into the season’s first major after victories at the Ladies European Tour’s ISPS Handa Women’s Australian Openand the JTBC Founders Cup on the LPGA Tour. The American, a champion in 2000 and 2006, is a huge favourite, having recorded 11 top 10’s and 17 top 20 finishes in her 19 starts. South Africans, however, would love nothing more than seeing Pace follow previous Kraft Nabisco Championship winners and leap into Poppie’s Pond on Sunday. Mossel Bay’s Pinnacle Point Beach and Golf Resort has laid out South Africa’s first SNAG (‘Starting New at Golf’) course. The 6-hole course is under construction on the Resort’s driving range, and should be ready for the April holiday season. It includes four par-3 and two par-4 holes designed specifically for children. SNAG was developed in the USA as a way of introducing young people to the game of golf. It uses clubs fitted with over-sized heads, and tennis balls (minimum diameter 65.41 millimetres, maximum weight 59.4 grammes) rather than traditional golf balls (minimum diameter 42.67 millimetres, maximum weight 45.93 grammes). SNAG is already available as a training programme at Pinnacle Point, where PGA pro Quintin van der Berg offers classes on Mondays, Wednesdays, Fridays and Saturdays. He said that the advantage of having a permanent course as well as regular classes is that parents and children can now enjoy the game together at any time they choose. “While the kids are busy with SNAG, the adults can make use of the facilities at our Peak Performance Centre, with its putting and chipping greens; clubfitting and club repairs workshop under Master Clubfitter Charles Rich; SAM Puttlab; indoor teaching studio; and 3-D motion analysis, video analysis, and FlightScope 3-D Doppler Ball Tracking and FocusBand technologies. While the SNAG course will open on the green, the plan is to make SNAG at Pinnacle Point even more exciting by adding mini bunkers and areas of fynbos rough at a later stage. “We’ve cut the greens, tee-boxes, and fairways with the par-4s running to about 60 metres, while the par-3s are about 30 metres long. But when you hit tennis balls they don’t travel as far as golf balls, so the course will feel very realistic,” said Mr. van der Berg. Mossel Bay Tourism’s Marcia Holm welcomed the announcement. “Golf remains one of the biggest draw-cards for tourism in the Southern Cape, and it’s good to see that its now available to kids, too,” she said. “It’s also exciting to know that Mossel Bay is once again leading the pack: this is a first for South Africa, and from internet searches, it seems that Colorado in the USA boasts the world’s only other permanent SNAG course.